I think the kitchen is beautiful and I think the materials and workmanship are far superior to my neighbour's refacing job- thank you! Award Kitchen Refacers were very well organized. We are extremely pleased with the results. You can't tell it was refaced. It was a very worthwhile expenditure. Just a brief note to express our appreciation for our newly refaced kitchen. We must commend your team on the organization and high degree of customer care they showed. We decided to invest in a new kitchen for our home. Ivan and his crew refaced instead of a total expensive new kitchen. The results were excellent without the expense. Award Kitchen Refacers is well run, and the results, for us, were well done. Ivan's team are very approachable, helpful and always smiling. We liked the wide variety of door styles and colours offered by Award. We had great results that were accomplished in only 4 days. 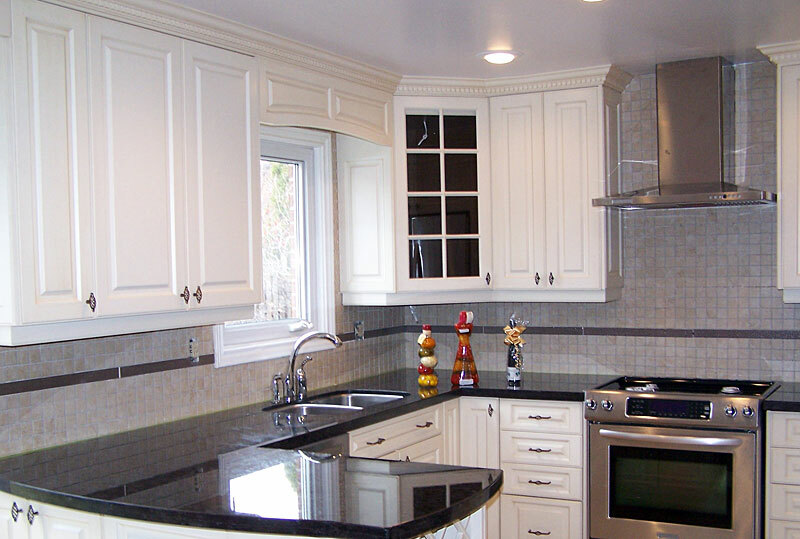 We enjoyed working with Award Kitchen Refacers because they are very professional and do what they promised. Pleased with the quality of the work. Wish our other renovations went this well. Award is professionally run and their success is our fantastic kitchen. Looking forward to working with you soon on the cabinet for the living room and re-doing the office cabinets.Have a great holiday. Call when you are back to set up appointments with us and my friend with the ugly kitchen who needs you! Thanks to Ivan and his crew . Our kitchen has doubled without spending a fortune. We are completely satisfied. The kitchen refacing job came out amazing, no hassles. Working with Award has been a pleasure. They captured our requirements and translated them into the kitchen we wanted. .We strongly endorse their service and integrity of everyone who worked on our project. The owner of Award takes the abstract and through a deep understanding creates a brilliant kitchen without replacing the whole expensive thing. I would use them again. Award Kitchen's staff are masters in more with less money spent. They met all schedules and completed the task in a timely manner. We are so happy with our awesome new kitchen, totally different from before. If you want somebody good, call them, you won't be sorry. We have worked with Ivan and his crews on two other kitchens. We found Ivan to be caring and very creative. The whole experience was very sensitive and very thoughtful. The owner, Ivan, said he has done over 8,600 kitchens in his career. It shows in our new redo kitchen. We believe now! Mr. & Mrs. S.L. 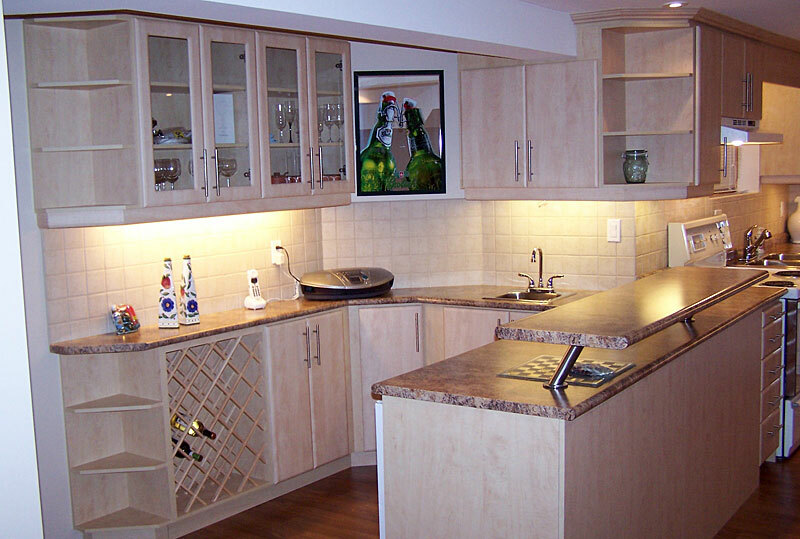 : We can't say enough about the Award Kitchen Refacers staff, from the first contact to the completion. Thanks. Mrs. P.B. : As a senior, I was worried about redoing my kitchen in order to sell my older home. My real estate agent recommended Award Kitchen Refacers who I found to be honest and a great help. Because of my wonderful new kitchen, my home sold right away and for way above the asking price! I highly recommend refacing the kitchen and Award Kitchen Refacers. Mr. & Mrs. B.D. 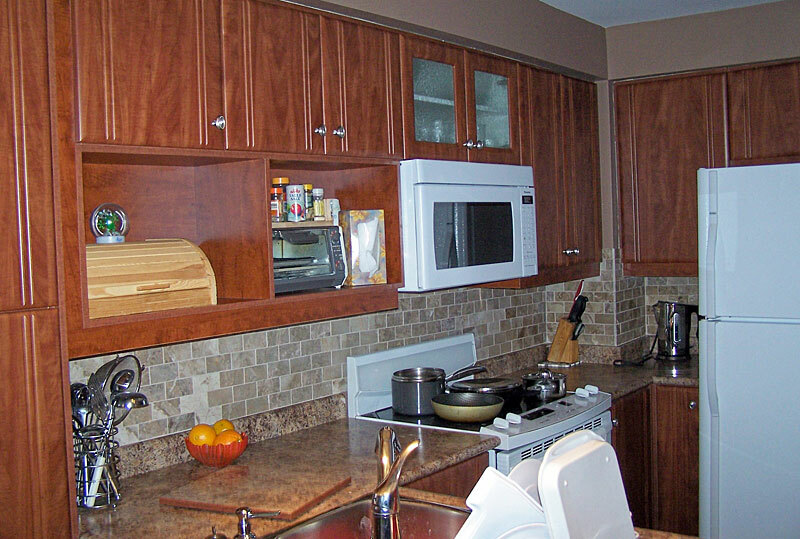 : Your staff recommended additional cabinets to enhance the kitchen refacing. We can't believe it's the same kitchen. Award Kitchen Refacers-awesome! Ms T.L. & Ms A.Y. : We chose refacing instead of replacing the kitchen. We were surprised at how easy and hassle-free it was! Award Kitchen Refacers- you created our dream kitchen that we love and we recommend your company to anybody looking to reface! © 2005-2019 Award Kitchen Refacers Inc.
Never satisfied until you are!